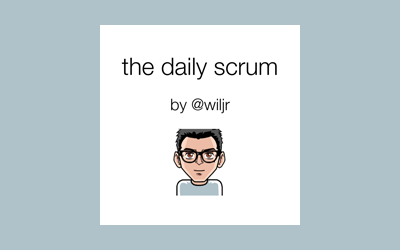 The Daily Scrum, Episode 3 is now available for download in iTunes. In this episode we continue talking with Mike Maheu, a noted Agile trainer and evangelist. Mike talks us through the Agile process as it relates to teams working in the same physical location versus those teams who are distributed in different locations throughout the world. Collocated Team: What is it? Collocated Team: Why does it matter? Distributed Team: What is it? Distributed Team: Why does it matter?